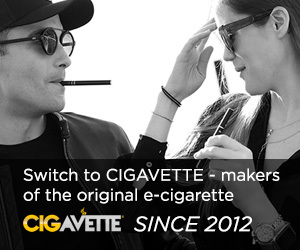 The V2 Cigs Beginner starter kit is no longer available, however V2 Cigs have created a new line up of starter kits to customize to your style. If you have tried disposables and you're ready to make the switch to vaping, then analog electronic cigarettes are the next common step. You can use them over and over unlike disposables that only last a few days. You can also choose your flavors in a wide variety of choices. The Flavor Sampler is the best way to discover new flavors of e-liquid and find the one that works for you. V2 has several tobacco flavors along with sweet flavors. The V2 batteries are available in five colors: Black, Blue, Pink, Stainless Steel and White. They come in three size choices: Short, Standard and Long. You can also choose manual style which has a button that you push or automatic which fires when you inhale. My favorite setup is a long, black battery in automatic. The longer batteries are like 100 cigarettes, but the charge lasts longer than the smaller sizes. Whichever kit you build, V2 Cigs has options that will cover all personalities and styles. * Only lasts a few hours between charges.